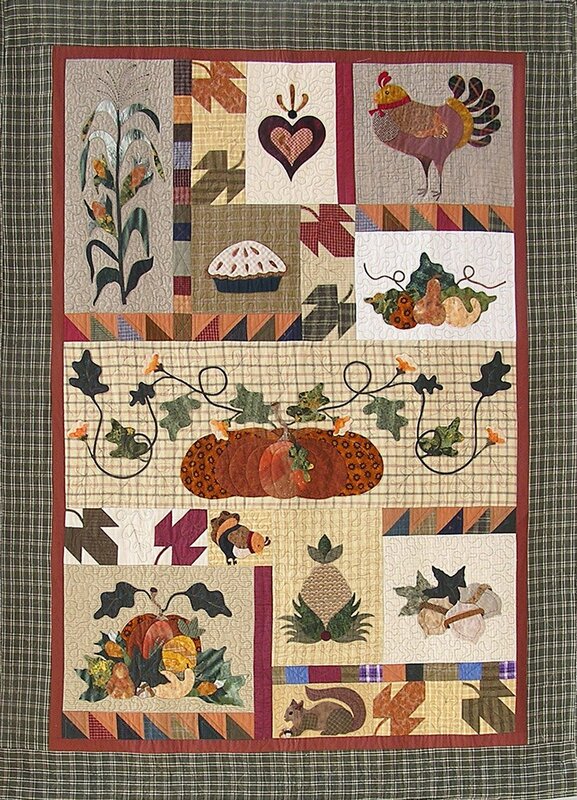 Wonderful Fall quilt. Large blocks and applique shapes make this quilt easy enough for a beginner. Finished size: 65" x 91".